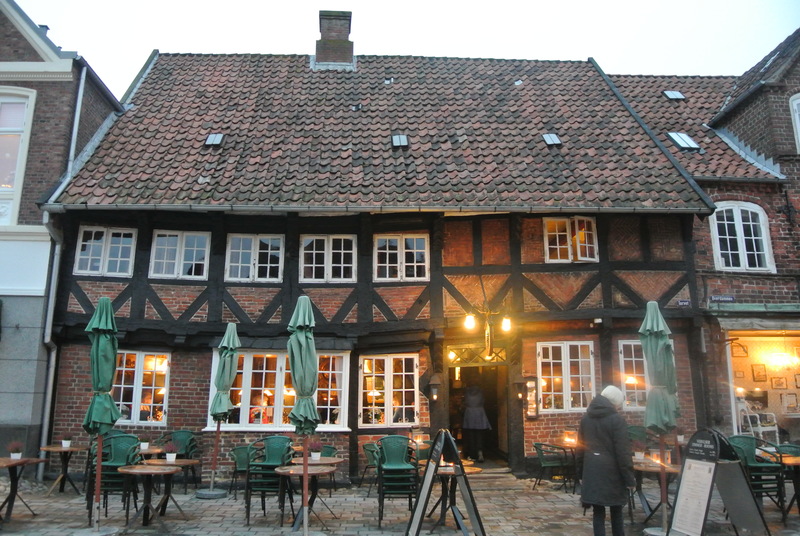 Ribe, the oldest town in Denmark, was high on my list of cities to hit on my tour. With cobblestone roads and old timber houses and a beautiful prominent Domkirke (Cathedral), it was a charming town fit for leisurely walks up and down its narrow streets. 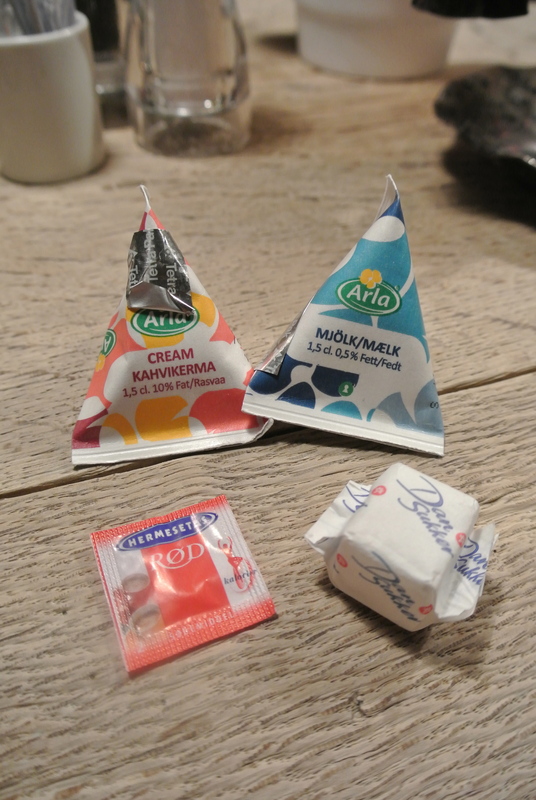 However, with a town so small, dining options were very limited. 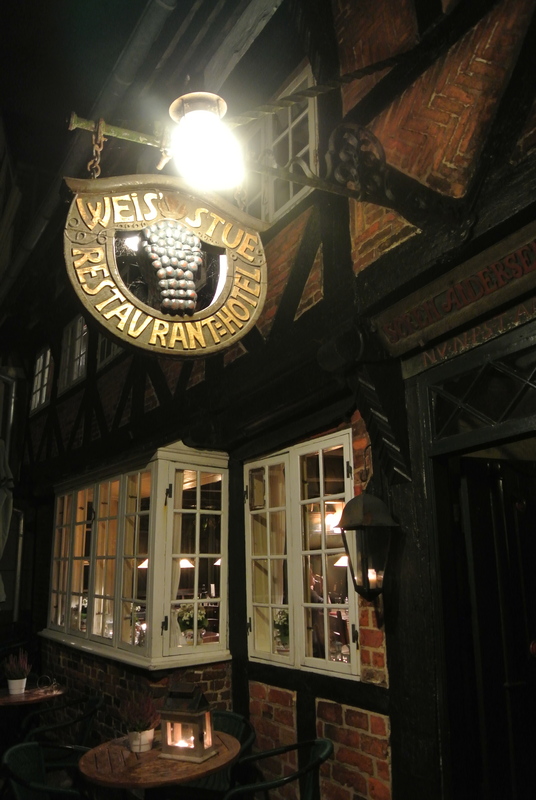 We happened to stumble upon a small quaint restaurant and hotel called Weis Stue. 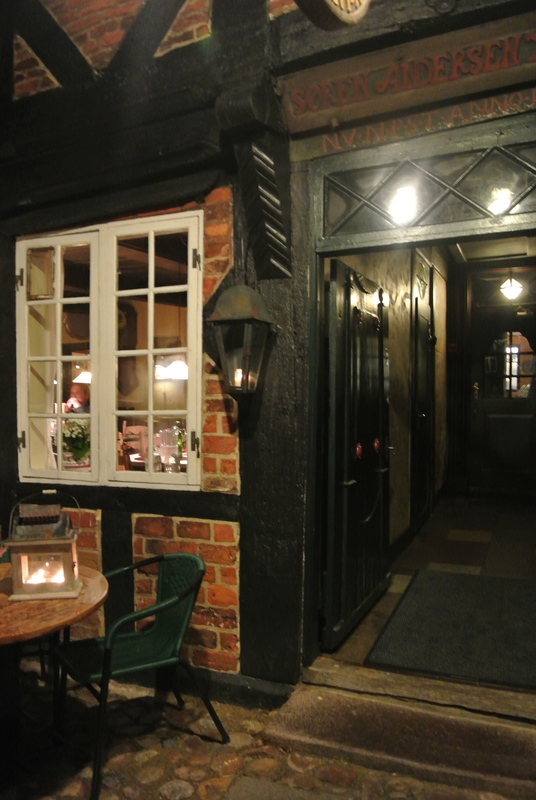 Located in the centre square and across from the Domkirke, we noticed the restaurant was bustling inside so we decided to take a look. Inside an old house, with the hotel rooms on the second floor, we were brought to a private dining room in the back of the house beside the kitchen. 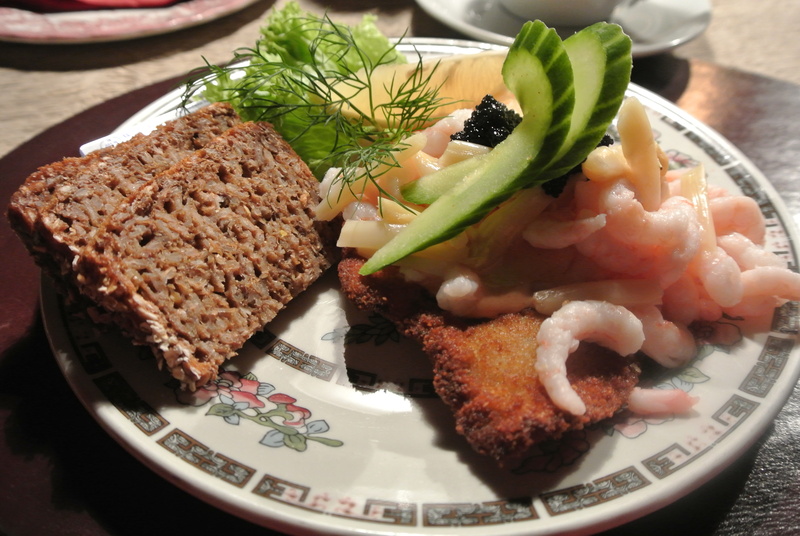 Serving very traditional fare, I ordered the very popular fried filet of plaice (a white fish) topped with a salad of cooked shrimp and white asparagus, sliced dense rye bread and caviar. It was simple yet satisfying. Definitely worth experiencing the charm and character of Weis Stue. 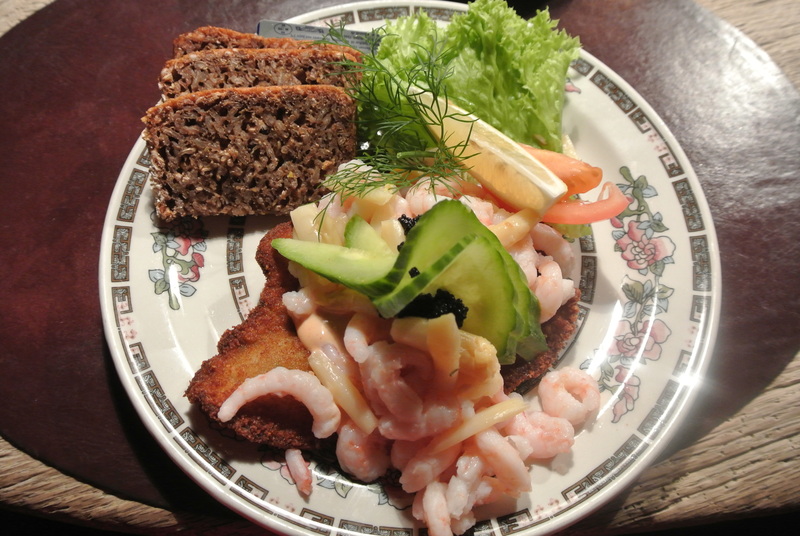 Weis Stue hotel and restaurant. 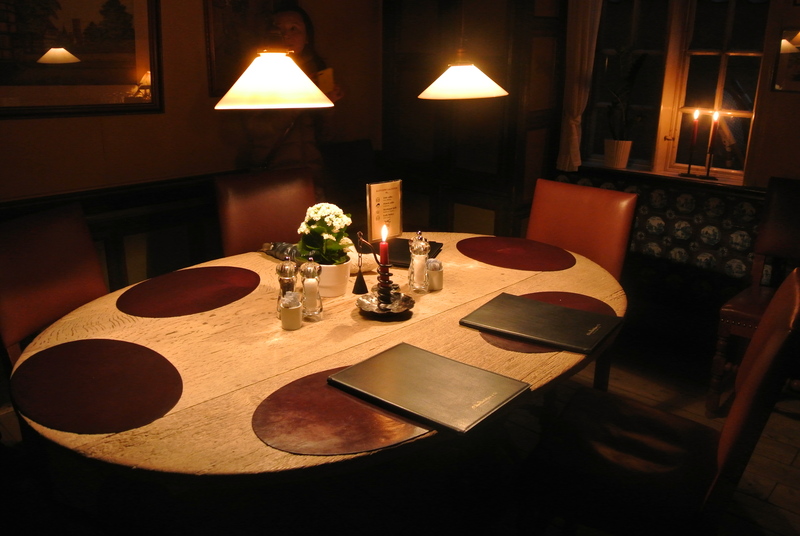 Our private dining room at the Weis Stue. 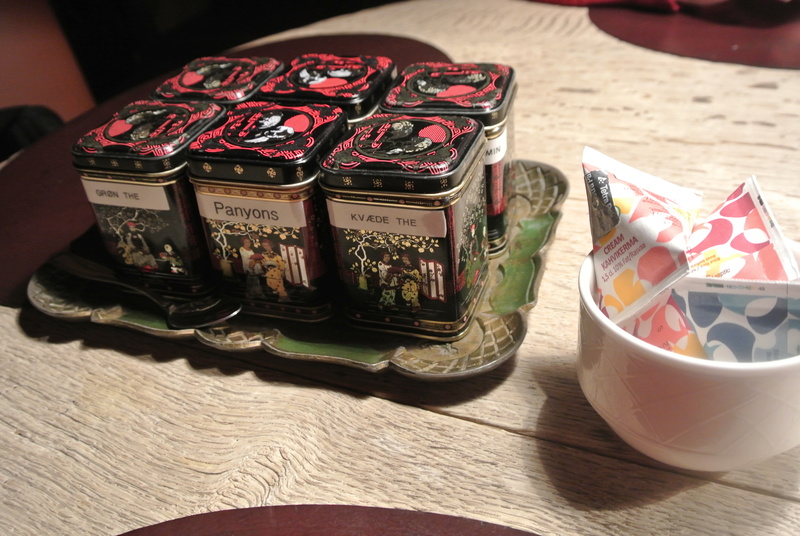 Lovely tea selection at Weis Stue. My dinner at Weis Stue. Close up of my fried filet of plaice.